The first violin part for Offenbach's La Vie Parisienne has been edited by Ilya Kaler, who has appeared as guest concertmaster with the San Francisco Symphony, Philadelphia Orchestra and Baltimore Symphony. Kaler's bowings, fingerings and other editorial markings have been added throughout the score. Jacques Offenbach's La Vie Parisienne is an operetta and the first composition by the composer to portray contemporary Parisian life, unlike his earlier period pieces and mythological subjects. It became one of Offenbach's most popular operettas. 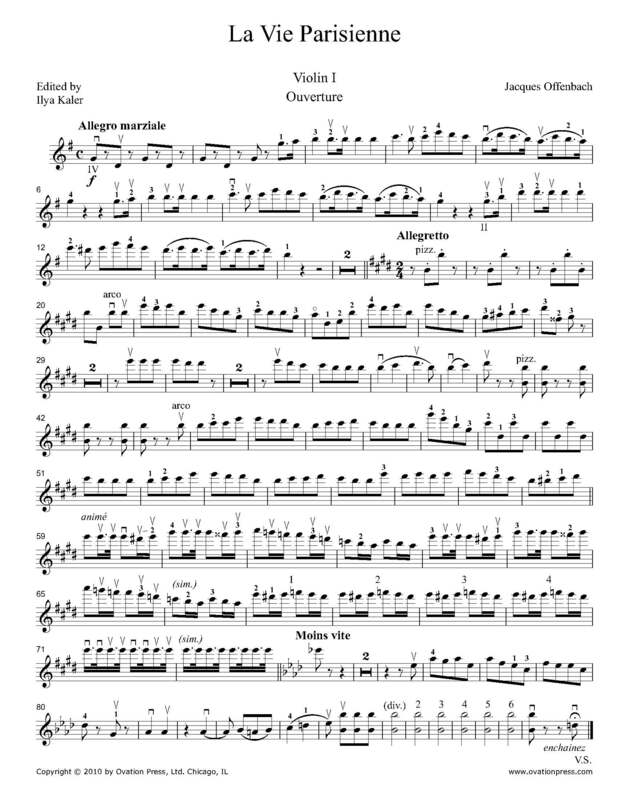 Download and print the score today to gain access to expertly edited Offenbach La Vie Parisienne violin fingerings and bowings from Ilya Kaler!